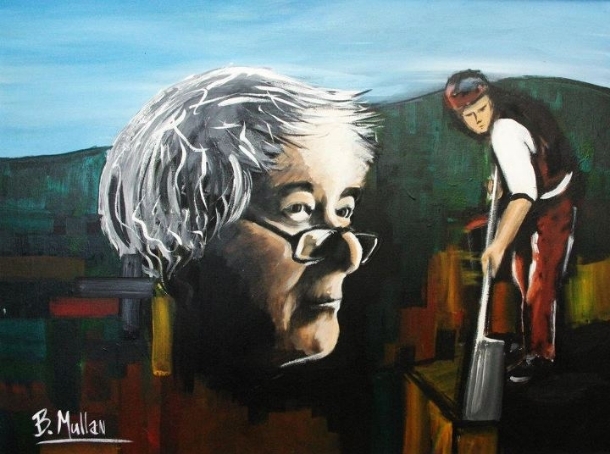 Seamus Heaney, along with a plethora of Irish artists have highlighted the Irish landscape as being paramount in creating, analyzing and solidifying the substance of a nation’s identity. Heaney’s poems on ground and bogs emphasised the importance of our soil. #People4Soil are campaigning to protect our soil with their petition for a directive on soil. Unlike wind, air and water there are no regulations to protect soil and 30 pitches of fertile soil is lost every minute globally. Healthy soil can store as much as 3,750 tonnes of water per hectare—that’s the equivalent of one and a half Olympic swimming pools. To find out more, sign and share the petition click here. The unexpected passing of Seamus Heaney in August 2013 stung the nation and Irish diaspora into a sad and silent appreciation of his works. Today marks what would have been his 78th birthday. 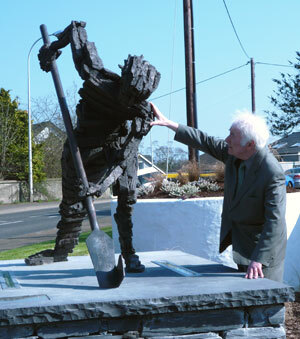 Born in the same year as Yeats died and sharing a birthday with Beckett, Heaney was part of a generation of poets, along with Eavan Boland, Paul Muldoon and Thomas Kinsella, that succeeded in casting off the shadow of Ireland’s national poet and forging their own dialogue on Ireland identity. They faced the same threat as the group of footballers that followed the Arsenal’s 2004 invincible team of Henry, Bergkamp, Pires and Ljungberg. A great team of leaders setting new precedents in the historical but cramped Highbury stadium, the new team moved to a larger venue. However they failed to match the heights of their predecessors. Now, the explicit and animated post-match criticisms on Arsenal TV is more entertaining than their football. The acknowledged success of artists from the revivalist movement from the turn of the 20th century, during a time when Ireland faced political turbulence and a cultural effervescence, threatened the artistic freedom of the next generation of talented writers. Instead of becoming a cheap pastiche, artistic conversations and grappling moved internal and domestic. While Yeats’ writings intimated the characteristics, history and culture of the real and ideal Ireland, Heaney busied himself with the heady business of analysis. 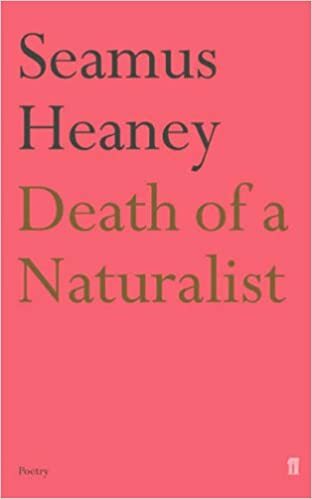 His celebrated collection, Death of a Naturalist (1966) with poems like “Digging” optimizes Heaney as a poet, living through the Troubles, grappling with his role in the present by delving into an understanding of a private and national past. If Yeats was a poet moving from public to private with his creation and depiction of Ireland, Heaney moved from the latter to the former as his writings strived for understanding. The continued digging of a post-revivalist poet. In “Digging,” and other poems like “The Tollund Man” and “Bog Queen,” soil is used as a vessel for reflection. Setting himself as an observer of memories, looking from his window he sees his father sinking his spade into the ground for potatoes, 20 years away, and his grandfather cutting turf at Toner’s bog. It takes a toll and bears a sacrifice on those willing to engage in such an inherited practice. The appreciation of the “cool hardness in our hands” of newly found potatoes demonstrates that only the initiated -those with a connection to the soil- can truly understand the wealth it holds. There is a depth to this allegory from the poet. There is the private exploration of his own identity along with that of a national history and tradition. “Through living roots awaken in my head” sparks a realization in the speaker of place, context and the uncompromising burden of tradition. On top of that, the tradition and craft of digging, sowing and creating is heavily linked to his own artistic endeavors. Across the Atlantic, Ezra Pound had faced such a dilemma moving on from Walt Whitman in his poem, “A Pact,” seeing him as the pig-headed father – hardly complimentary. Pound was forced to acknowledge that his predecessor “broke the wood” before noting, “Now a time for carving.” A time not to break from the past but to develop something new from it. Heaney too recognized the need to make sense and pay homage to the ethics and techniques of past writers while also moving on. For better or worse he does not fit their mould and his tools differ. “But I’ve no spade to follow men like them.” It is the pen, “snug as a gun” – that loaded image he presents us with at the start – will do his digging. Eric Maher is a contributor to the Green News. He has a Masters in Anglo-Irish Literature and Drama from UCD.